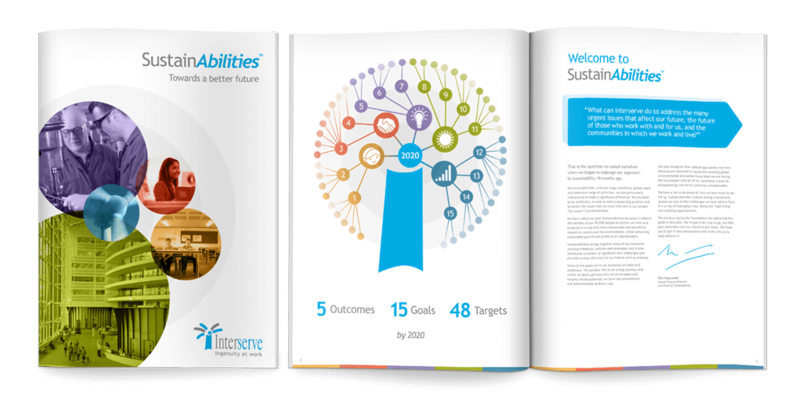 Interserve has an unswerving commitment to sustainability and wanted to bring their plans to life for their own people and the wider world. At heart, a lot of creative tasks are about distillation – taking a complex or multi-layered proposition and expressing it succinctly. 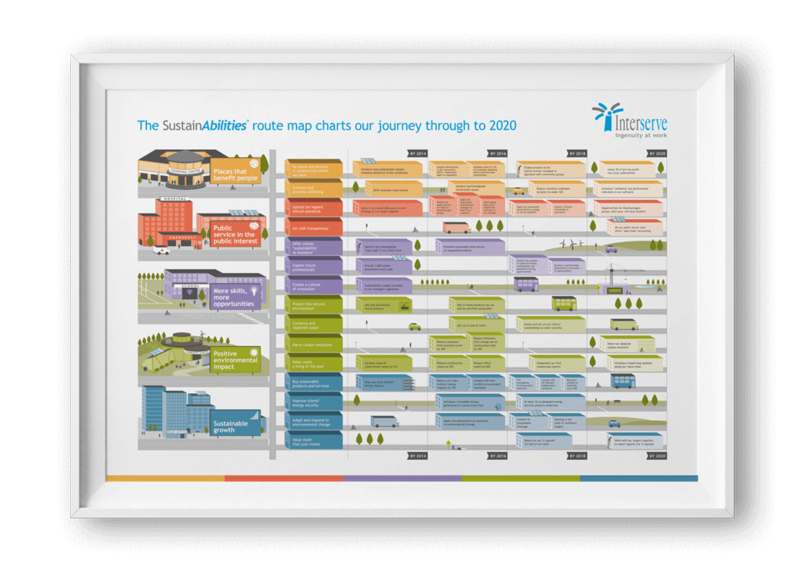 Interserve’s planned sustainability journey required us to distil not only a new corporate philosophy, but also the Plan’s 5 Outcomes, 15 Goals and 48 time-lined Targets into an at-a-glance solution. Under the expressive brand name ‘SustainAbilities’ and using smart infographics, we managed to pull it off in some style. It’s no fun launching a major CSR initiative without a website to support it. 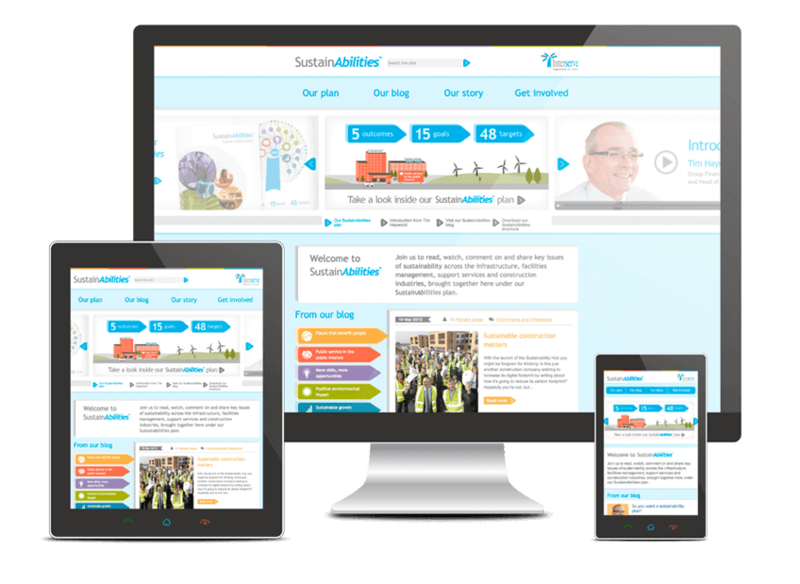 Working in harmony with Interserve and their sustainability consultants, we designed, built, tested and launched the SustainAbilities site – from scratching our heads to ‘go live’ – in just five ‘exciting’ weeks.